The UAE's health sector is poised to generate more job opportunities, offer smart services and better quality of life in 2018 as the country strives to offer the best to its residents. Rise in prospective projects have paved way to more employment opportunities with medical tourism, mandatory insurance, specialised care, technology and primary healthcare ranking at top among other growth segments. The GCC has over 700 healthcare projects worth $60.9 billion in various stages of development and this is likely to augment the scale of healthcare services over the coming years, says Alpen Capital's GCC Healthcare Industry report, released on Monday. Rohit Walia, executive chairman, Alpen Capital, said: "GCC healthcare sector is poised for a steady growth and continues to offer a whole gamut of opportunities for private sector investment. We believe the sector offers interesting investment opportunities in areas of specialised care, technology, primary healthcare and medical tourism. The opportunities coupled with a friendly business climate are boosting investor interest in the healthcare industry." A recent study from GulTalent points out that the Gulf job market is set to grow at an average rate of 9 per cent this year with healthcare continuing to expand, thanks to a growing domestic population and a regulatory push to increase health coverage and expected surge in hiring in the sector. 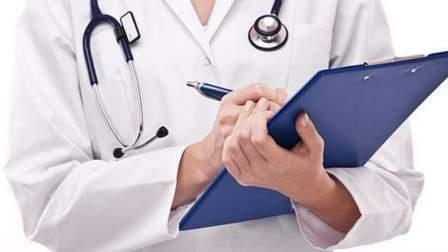 Popular names in industry like Aster, Zulekha and NMC among others are not only bullish - with expansion in offing - about the sector growth but are also applauding the move by the UAE government to offer residents quality health services in order to boost healthy lifestyle for residents. Dr Azad Moopen, founder chairman and managing director, Aster DM Healthcare, said: "The UAE Vision 2021 is a catalyst for the development of the sector, aimed at achieving a world-class healthcare system by addressing the most pressing health issues in the country today. With strong support from the government, the country is emerging as a hub for medical tourism in the region. Private-public-partnerships are ensuring that the UAE is offering international quality medical care to overseas patients." Dubai hosted 326,649 medical tourists in 2016, an increase of 9.5 per cent year on year, and aims to receive 500,000 tourists by 2020 by relaxing visa procedures and holding promotions. Abu Dhabi is establishing a medical tourism network to attract and serve patients from Russia, China and India. The growth of medical tourism bodes well for the expansion of healthcare sector. The current healthcare expenditure (CHE) in the GCC is projected to reach $104.6 billion in 2022, registering a CAGR of 6.6 per cent from an estimated $76.1 billion in 2017. Expanding population, high prevalence of NCDs, rising cost of treatment and increasing penetration of health insurance are the factors auguring growth. Between 2017 and 2022, CHE on outpatient services is predicted to grow at an annualised average rate of 7.4 per cent to $32 billion, faster than an anticipated CAGR of 6.9 per cent on inpatient services to $45.4 billion. The inpatient market will remain the largest segment with a contribution of 43.4 per cent in 2022. CHE on 'others' category is expected to grow at a CAGR of 5.2 per cent. The annual average growth rates of CHE in the GCC countries are projected to range between 2.6 per cent and 9.6 per cent during the forecast period. The UAE and Oman are likely to witness growth rates of above 9 per cent, in anticipation of a fast-growing population, implementation of mandatory health insurance and above regional average medical inflation rates. Consequently, the share of UAE and Oman in the GCC CHE is likely to expand vis-a-vis other countries. "With increasing opportunities for the private sector, the healthcare industry is witnessing a surge in mergers and acquisitions. The inorganic route is being adopted by new players to enter the market and by existing providers to expand market share, physician practices and medical capabilities," said Krishna Dhanak, executive director, Alpen Capital. Saudi Arabia and the UAE will continue to dominate the sector with a combined share of over 80 per cent in 2022. In view of the anticipated rise in the number of patients, the GCC may require a collective bed capacity of 118,295 by 2022, indicating a demand for 12,358 new beds. Saudi Arabia is likely to witness the largest requirement at over 7,500 new beds, followed by the UAE at more than 2,000 new beds. On expansion front, Dr Moopen said: "Aster DM Healthcare will continue to play our part in the growth of comprehensive healthcare in the UAE. We have the unique position of catering to upper, middle and lower income population through brands Medcare, Aster and Access. We are in the process of setting up two Aster Hospitals - one in Al Qusais, Dubai and another one in Sharjah. With our expansion plans for the region and recent IPO in India, we are better-positioned to further our goal of making affordable healthcare accessible to all." Similarly the following the completion of the Zulekha Hospital Dubai expansion, the hospital will have an additional 60 inpatient beds, operation theatre arrangements, emergency services and labour rooms, taking its total capacity to 179 beds in 2018. Zulekha Healthcare Group had very successful foray into the Indian market, with the launch of a hospital under the brand name Alexis in Nagpur. The group is planning to introduce this brand to the UAE as well by investing in a 150-bed facility in Sharjah. Taher Shams, managing director, Zulekha Healthcare Group, said: "The region's increasing population, demographic shifts, high prevalence of chronic diseases with modern sophisticated lifestyles and the mission towards becoming a regional medical tourism hub are all driving the expansion of the country's healthcare market. Moreover, the need for accurate, secure and fast data analysis to manage critical information is becoming indispensable. Innovation in technologies, including patient experience management, lab information systems, robotic pharmacies, artificial intelligence, genomics and nanotechnology, will all be a norm soon in the thriving region. Authorities are driving the focus and investments towards the overall development of the sector at a fast pace, alongside awareness on preventive care." The London Stock Exchange-listed NMC Health is also eyeing expansion, whether organic or inorganic, in any market. The group's long-term growth strategy is predicated on capacity and then capability-focused growth, and continues to accelerate expansion into more complex medical, and thus higher value-added, specialty healthcare segments. "The establishment of new strategic multi-brand verticals is enabling us to unlock synergies within the enlarged group, delivering significantly improved growth for the group at a global level despite the continuing of a moderate macro environment in our primary market of the UAE. We have an accountability to offer the best return to the shareholder capital as they not only invest their money but their trust too. Hence, to hedge the risks brought about by the evolving economic turns, we would balance our investments in hydrocarbon importing and exporting countries," said Prasanth Manghat, CEO and executive director, NMC Health.